ROSEBURG, Ore. (Reuters) - The gunman who killed nine at an Oregon community college last week graduated from a California high school for troubled teens that provided structured care, but nothing comparable was available when he moved to a small Pacific Northwest city. Some students with emotional and mental health disabilities who attend the Switzer Learning Center in Torrance, a Los Angeles suburb, are not even able to use the bathroom by themselves, but require monitoring and assistance by school staff, according to an employee. The school had no comment. It is not known how much help the 26-year-old assailant, Christopher Harper-Mercer, needed while at Switzer, or whether he ever received a diagnosis of mental illness. Even so, his mother described her son as autistic in several postings on online message boards. When Harper-Mercer came to Roseburg in 2013, several years after his parents divorced, there was no institution like Switzer there to help him integrate into this tight-knit community of 22,000 residents. Instead, he slipped into an isolated, almost ghostlike existence, appearing to be unable to form deep connections with the outside world. "I don't think I've ever even heard him speak," said Kevin Nordlund, a next-door neighbor. In this former timber town, where many residents say it is impossible to go out without running into a familiar face, the man who carried out the deadliest shooting in the United States in two years appears to have made almost no deep impression. 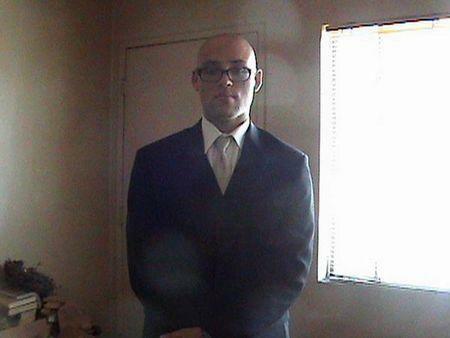 Harper-Mercer had a meaningful relationship with no one in the area, according to interviews with dozens of residents, neighbors, business owners and students at Umpqua Community College, where he opened fire in a classroom last Thursday. Those who were acquainted with Harper-Mercer described him as a quiet, self-absorbed loner who never had a steady job or was seen with a tight group of friends. In his neighborhood, a 10-minute drive from campus, residents said they would often see him walking alone among a cluster of apartment buildings where he lived - at times, a gun holstered at his hip. A bartender at a neighborhood pub said he occasionally came there to eat, but not to drink alcohol. The only regular human contact he is known to have had while in Roseburg was with his mother, Laurel Harper, with whom he shared a love of guns. A cache of more than a dozen legally purchased firearms was recovered at an apartment they shared. 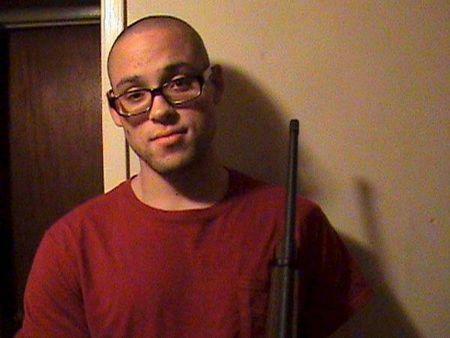 They spent time together at target ranges in California and in the Roseburg area. Authorities have disclosed few details about the circumstances of the rampage itself or the gunman's motives, due in part to their desire to deny him further notoriety. Still, loneliness appears to be a factor in the massacre that ended with the gunman taking his own life. Harper-Mercer left behind a two-page diatribe that includes racist ramblings and voices his regrets about not having a girlfriend, U.S. media reported. Police have not commented on why he deliberately spared one student and gave him his writings. He appears to have avoided the many churches in this devout pocket of Oregon, telling an online forum that he was "not religious, but spiritual." He also failed to find a place among the hundreds of military veterans who study on campus, despite a brief stint in the U.S. Army in 2008 before he was discharged for failing to meet medical, physical, and procurement standards. "I don't recognize him at all," said Roseburg Mayor Larry Rich, who is also an assistant principal at the city's namesake high school. Harper-Mercer's father, Ian Mercer, told reporters in California that his son must have had "some kind of issue" with his mental health, and wondered "how on earth" he had been able to amass his weapons cache. In California, he also passed two uneventful years from 2010-2012 as a student at El Camino College, also in Torrance, the school said. Meanwhile in Oregon, Laurel Harper, the gunman's mother, told a nurse she had hired to look after her son that the boy had "mental problems" growing up and suffered from Asperger's Syndrome, the New York Daily News reported. There are hospitals and clinics in Roseburg that offer walk-in crisis intervention programs, including a sprawling Veterans Affairs campus, but there is no place where people who are psychotic can go for round-the-clock care. The nearest in-patient treatment is more than an hour's drive in Eugene or Medford. Mercy Medical Center, which treated several victims injured during the attack, closed its behavior health program in 2007 for financial reasons, a spokeswoman said, and one local pediatrician, Dr. Bob Dannenhoffer, said the city's healthcare system is "more complicated than it needs to be." Umpqua Community College says on its website that student counseling services are limited to short-term, one-hour sessions. In some cases, it urges students who need more intensive care to seek programs off campus. The college refused to comment on whether the gunman sought help there, and what relationship he had with those he murdered. The school said he had no disciplinary record. "The day before it happened, me and my son were checking the mail, and he just came whipping around the corner (in a car), but that was the only time I ever saw him drive," said Kaylene Rhea, 27, a neighbor and a stay-at-home mom. "Other than that, he was walking alone every time I saw him."